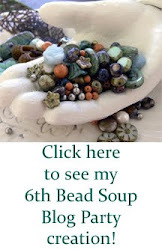 After participating in the Bead Soup Blog Party, I put the pieces I made on a necklace stand on our dresser. Just so I could look at it but mostly cause I didn't know where to put it. 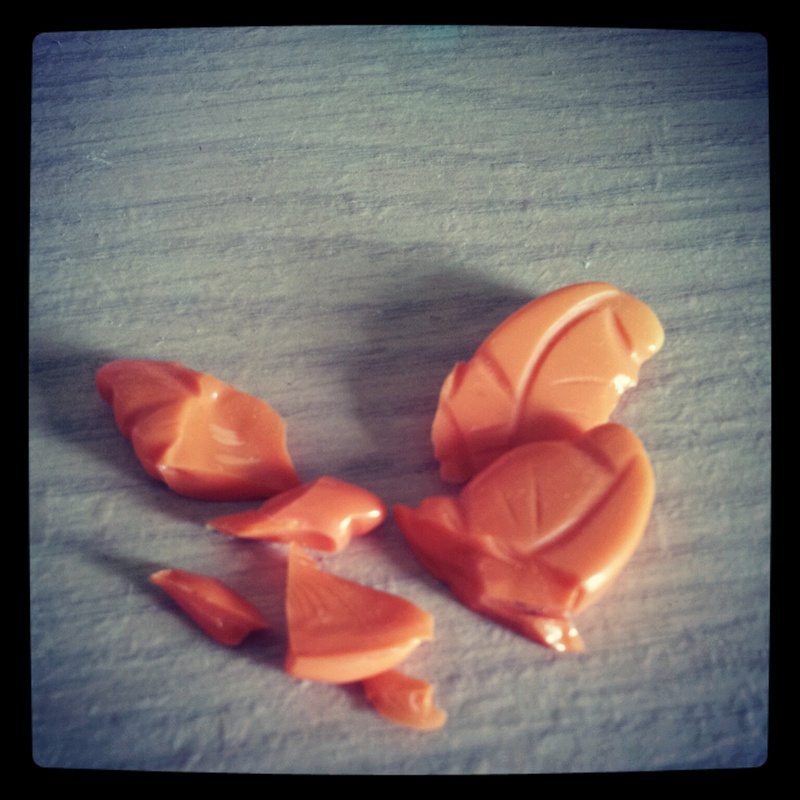 One morning, my husband comes to me and says that he was really sorry and told me not to get mad. He had accidentally knocked the necklace stand over and the pretty orange butterfly bead broke into many pieces. 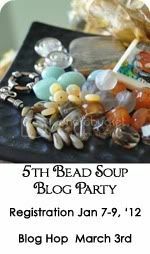 Bead Cruise: I wanna go!!!! I just found out about the existence of bead cruises. A week long cruise filled with everything you would enjoy on a cruise ship PLUS beading workshops, design challenges and meeting other beaders. Why would you not want to go! Speaking of cruises, I just came back from my very first cruise with my family. The best part of the cruise is the food. Imagine, all you can eat fine dining everyday. I'm not a big meat eater but their steak was 'melting' in my mouth. Here are some pics from my trip. Did I mention that the food was fantastic?? Smoked salmon and apricots... Mmmmmm! 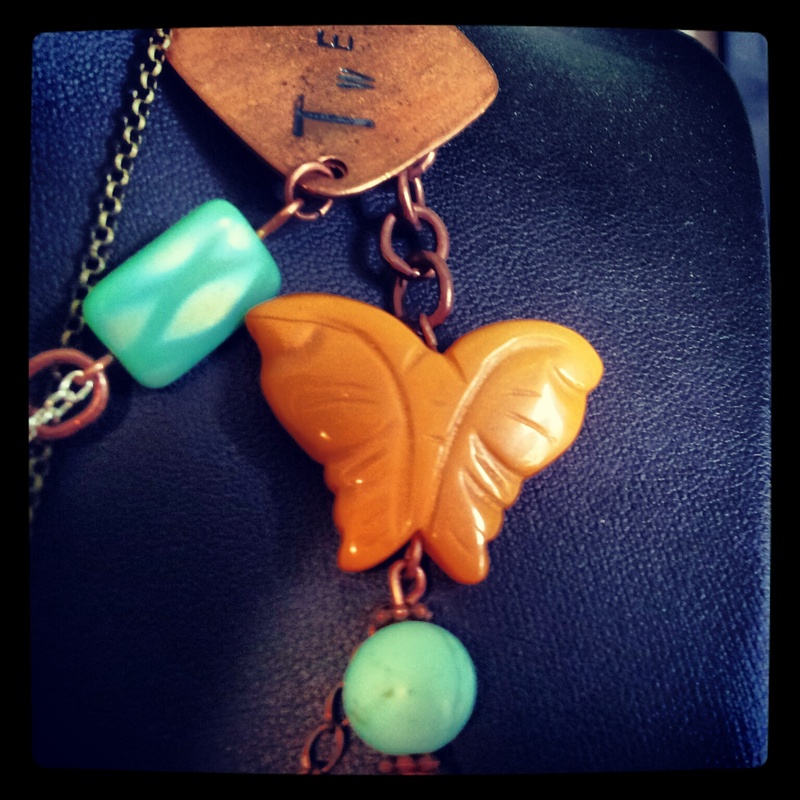 I joined another blog hop! For this challenge, the participants will choose one colour and create something using all the tints, shades, and tones of that one colour. I just taught a unit to my Grade 1's about colour value. Guess what colour I'm going to use? 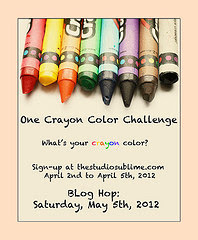 Join me on May 5th for the "One Crayon Color Challenge"!